What Is Scrap Car Removal? Saying goodbye is always hard… or is it if your car has been causing you endless problems for months? Regardless of how you felt about your car, if it no longer runs? It is probably time to arrange for a broken car removal! As hard as it can be to let go of a beloved car that has been with you for a long time, there will come a time when your trusted old set of wheels gives up the ghost for good and the cost of repairing your broken car is just not worth it anymore. When that day arrives, you are faced with the dilemma of what to do with a scrap car that is no longer roadworthy. Do you leave it sitting on the front lawn in true westie style? Do you sell it for parts? How do you get it to a car wrecker? That is where scrap car removal comes in. A specialised car wrecking company will sweep in and solve all your problems. They will arrange to collect your old car (for free!) and pay you cash on collection. There are many of these cash for car businesses across Auckland and nationwide. They will kindly come to your place and remove it for you, paying you for the privilege. But how can you find the removalist that will give you the best deal without having to phone 10 different places in the process? How Do You Find A Vehicle Wrecker? Looking for a broken car company can be time-consuming. 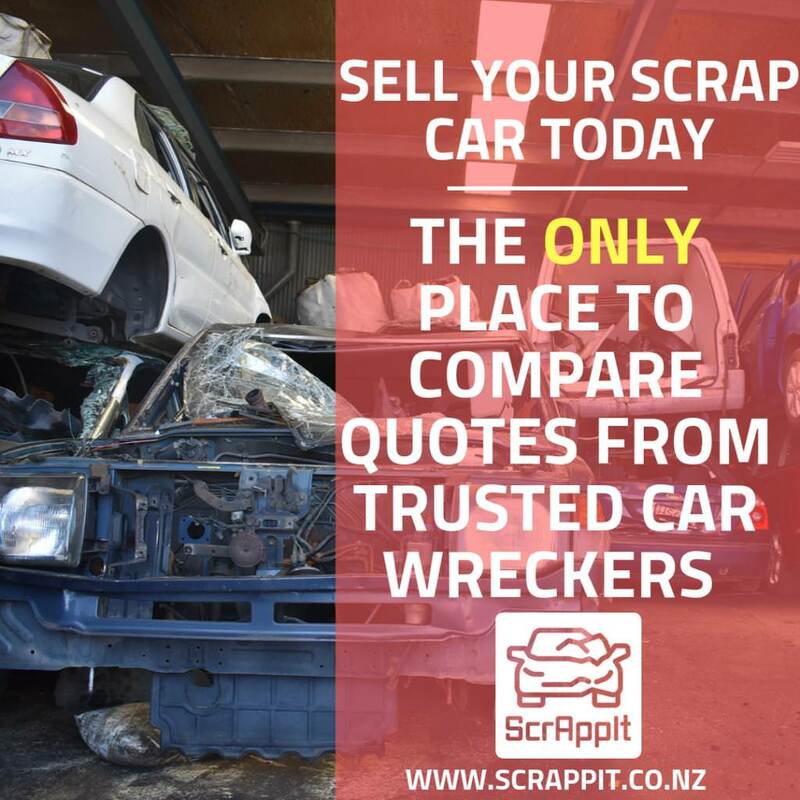 Usually, you would have to research the various car wreckers and spend time ringing around the individual businesses to find the best scrap car prices – but not with Scrappit! Our easy, three-step process does the hard work for you. All you have to do is visit our website, enter a few details, and we come up with the quotes for you to choose from. Then after you pick the quote you like, we arrange collection with you and the wrecker so you don’t even have to pick up the phone! Moreover, it’s streamlined, fuss-free and will have your scrap car out of your hair in no time at all. Step One: Head to our website [link to the automated service here] and fill out the inquiry form. All we need is your name, email address and some basic details about the broken car – the make, model, year and registration number. It will take you less than 60 seconds to enter the details. Step Two: Receive and compare quotes from different wreckers nationwide. We have 250 trusted wreckers on our list and provide an average of five quotes for every inquiry. Step Three: Pick the best offer. We help make your decision easier by providing wrecker ratings and reviews. Once you have made your choice, simply arrange collection and get your payment in cash. And, the whole process only takes a few minutes. What About The Condition Of My Car? It doesn’t matter what condition your car is in – if it’s not safe to drive, been in an accident, deregistered or simply unwanted. Our scrap car removal marketplace takes the hassle out of getting rid of your broken car. However, there are a few factors that may impact the price offered to you for your car, such as where the car is located, the make, model and condition, as well as the size and weight. We are the first and only scrap car comparison website in New Zealand and we operate independently. We have a comprehensive network of car wreckers throughout the country. So, you can be sure you are receiving the most up to date quotes directly from wreckers. Moreover, you can do it all without the time consuming and the often frustrating process of ringing five or ten wreckers and repeating the same info time after time in an effort to get the best scrap car price. Do you have a car that needs scrapping? If yes, then visit our website at www.scrappit.co.nz where you can find out what you can get for your car and get the ball rolling on getting it removed!